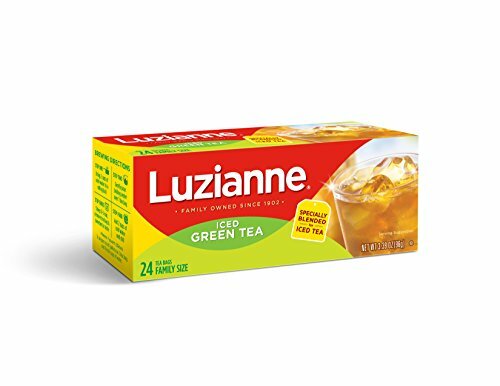 Owned by the Reily Foods Company in New Orleans, LA., Luzianne is the brand name adapted from the Southern pronunciation for “Louisiana”. A household name for over 100 years, this company offers products sourced specifically for iced tea – from bag to bottle – and they are steeped in Southern heritage. William B. Reily operated a wholesale grocery company in the late 1890’s, located at Monroe, Louisiana. With an initial focus on providing coffee products; including roasting, grinding, packaging and distribution – he also sold tea as an alternative hot beverage. Noticing the popularity of iced tea over the following 30 years in the South, with the advent of refrigerators and the production of ice, he decided to start brewing tea especially for the iced version in 1932. 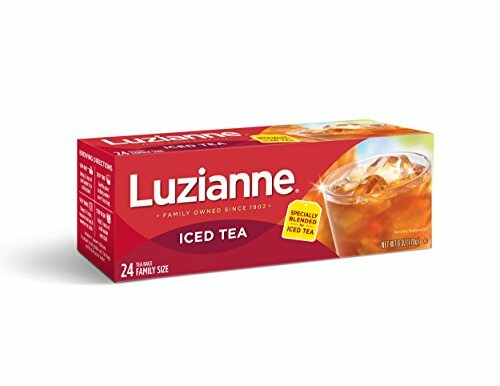 While little has changed about the Luzianne iced blend since his discovery, they soon perfected the art of crafting authentic Southern iced tea. During the 1970’s and 1980’s, Oscar-winning actor and singer Burl Ives starred in several television commercials for Luzianne Tea, bringing the popular Southern beverage to the rest of the country. Carefully selecting tea leaves that are perfect for the production of their iced varieties, by traveling far and wide throughout the world, Luzianne focused on sourcing leaves that created a smooth, clear and refreshing glass every time. 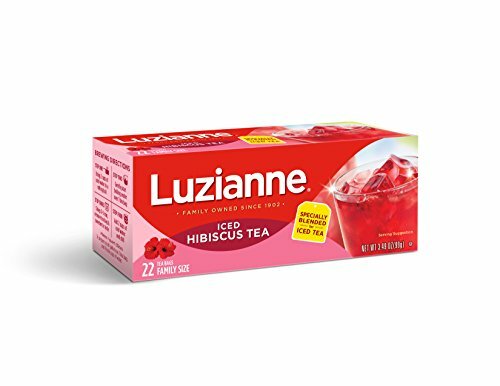 Holding a special place in the hearts and palates of Southern iced tea drinkers, Luzianne is a trusted brand in many households, not only for taste but for affordability, which includes simple, no-fuss packaging. Luzianne’s classic iced tea is specially blended for a refreshing taste that is also easy to make. This authentic Southern tea is simple yet satisfying, with a dark and robust flavor and zero bitterness. Enjoy it sweetened or with a splash of lemon for a zesty boost. Includes 1 Box with 24 family size tea bags. A special blend that’s just right for iced green tea with all-natural ingredients and antioxidants, this delicious tea is enhanced with the addition of lemon, orange or lime slices. This zesty tea is a vibrant blend of hibiscus flowers, providing a deep magenta color and a tart flavor that’s perfect for a hot, summer’s day. Healthy and refreshing, this is a herbal blend that will excite your taste-buds without any caffeine. Luzianne is a well-loved brand in the South, not only for offering simple and tasty products – which also includes coffee and Cajun seasonings – but for affordability. It’s no surprise that their iced teas are enjoyed all over the U.S. especially in the warmer months when cool, refreshing beverages are a must-have. Does White Tea Have Caffeine? How Much Caffeine in White Tea?